I recently received an email from Google+, the social media site that is was all the rage with photographers. Back when it started, I posted often and grew a following. Then something changed on the site and I didn’t quite understand it, and I quit interacting. My blog posts continued auto-posting, but I haven’t even visited the site in at least six years. On the other hand, I know several photographers who continued through the changes and kept a strong following and interaction with their audience. I liked Google+ because the interactions seemed genuine. As an amateur photographer, I enjoyed the feedback and the opportunity to share with my peers. As a full-time photographer, I didn’t get any clients there; my clients seemed to be on Facebook more at the time, so gave I it up. Interestingly, this post will automatically be posted there, too. 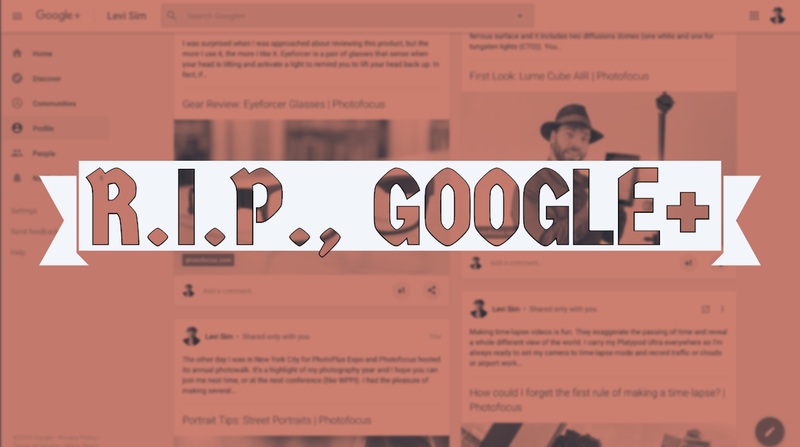 Are YOU going to miss Google+? Do you use it regularly? What impact has it had on your photography? Have you made useful connections there? I was a big fan of G+ in the early days and of Chrysta Rae’s awesome scavenger hunt. I built a small following quickly and enjoyed talking with other photographers. Most of my current photography friends I met on G+, then later in real life. I will miss that interaction.